First start by entering your search terms in the search bar (or a search widget). Make sure ‘Google’ is selected as the search engine. 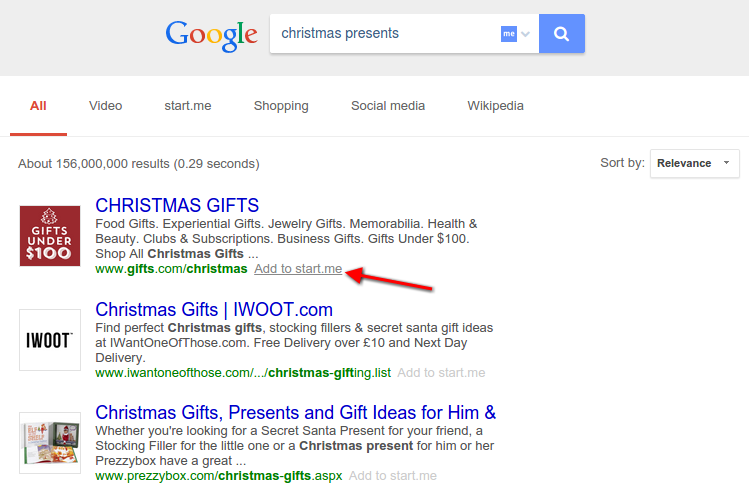 To indicate the integration with start.me our logo is shown in the search bar. You will now be taken to the Google search results page. The layout of the page is slightly different than the regular Google search results page: this is because of the integration. The page actually offers some features the regular Google search page doesn’t! Most importantly: you are now able to directly bookmark search results using the ‘Add to start.me’ links found after every search result. The bookmark can be added to whichever widget you like. To help you quickly add multiple bookmarks, the last widget you selected will be remembered. 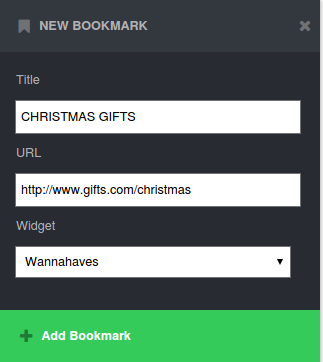 So adding a number of nice Christmas presents you found using Google to a list of wannahaves will be a breeze! We hope you like this new feature and hope it will help you to be more productive.